Several years ago, probably triggered by reading Stone Fox , the kids developed an interest in the Iditarod. So, I completed an Iditarod unit study with all three kids. We had so much fun learning about the race, the mushers, sled dogs, and Alaska. I drew a giant map of Alaska that we hung on the wall in the school room. Each of us chose a musher to track throughout the duration of the race. Just a few weeks ago, Emma asked me if we could do it again. She wants to pick a musher, and track him/her throughout the race. I don’t plan to do a huge in depth study this time around, but I thought I’d round up some fun resources for you guys in case you choose to do a study. Start with a study of Alaska. You can’t study the Iditarod without a study of the state of Alaska. Here is a short video full of interesting facts about the great state of Alaska. 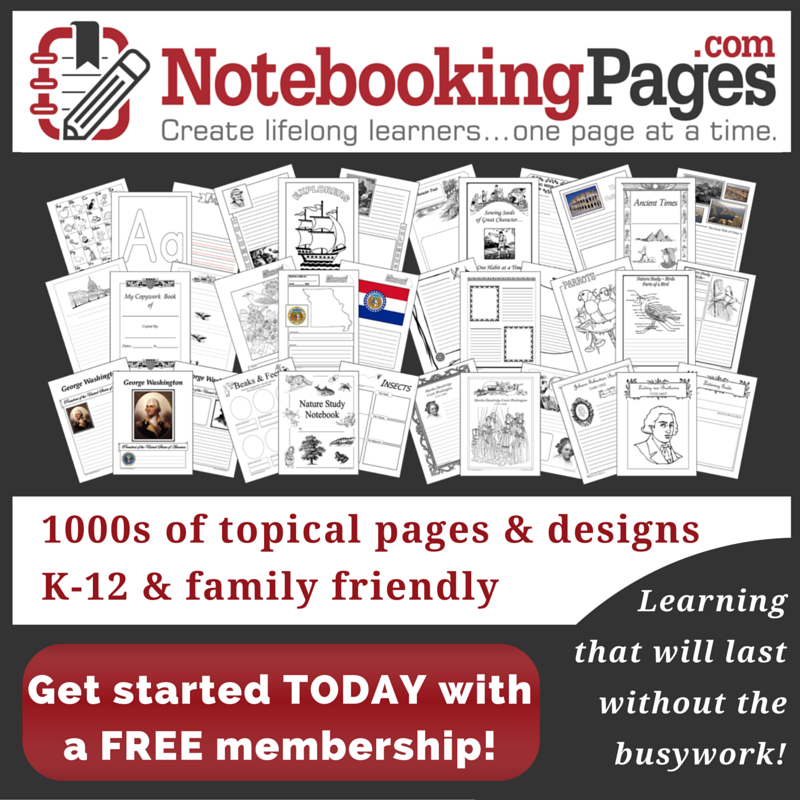 Watch it with your kids, and have them record their favorite facts on the notebooking page included in the printable at the bottom of this post. Take a look at the history behind the race. After a good introduction to Alaska and an understanding of the climate, it’s time to move on to the Iditarod itself. It’s good to understand the history behind the race. So, we start by learning about the Great Serum Race – a race over 700 miles of snowy/icy terrain to deliver the serum needed to halt an outbreak of diphtheria in 1925. Two great books for teaching about the race are The Great Serum Race and Balto . It might be fun to watch the Balto movie here, too. Allow your kids to record what they’ve learned about the Great Serum Race on a NB page. You can read about the Balto statue that sits in Central Park. Your kids may enjoy playing this Serum Run Game, as well. In 1973, the first official Iditarod race took place. It now takes place every March as mushers and their sled dog teams race over 1,000 miles from Anchorage to Nome. Below, I’ve shared some websites and books you can use to teach your kids about the Iditarod. If you don’t want to make a map to hang on your wall like I did (boy do I wish I still had pics), you can print a map. I will be printing this one for Emma to reference as she tracks her musher. (Scroll to the bottom of the page to find the 2-part file.) I’ll also have her read the history and visitor information in the packet. Here’s another map with a list of the distance from one checkpoint to the next. You can’t have a sled dog race without the dogs! Sled dogs are amazingly strong, smart animals. They have to be strong enough to withstand the rigor of a 1,000-mile race over the Alaska frontier. And, they have to be smart enough to be lead the sled over rough terrain often through blinding snow. There have been many books written about some of these amazing dogs. And, you can’t have a dog sled team without a leader! The leader of the sled dog team is the musher. Mushers stand on the back of the dogsled as they follow the race route. They spend lots of time training their teams before the race. It’s really fun to print a musher tracking sheet throughout the race. I’m not sure who Emma will pick, but I’m going to track Dallas Seavey. He’s got an amazing track record so I think he’s got a great chance of winning again. Em and I will both print a musher tracking sheet to record stats as our mushers run the race. 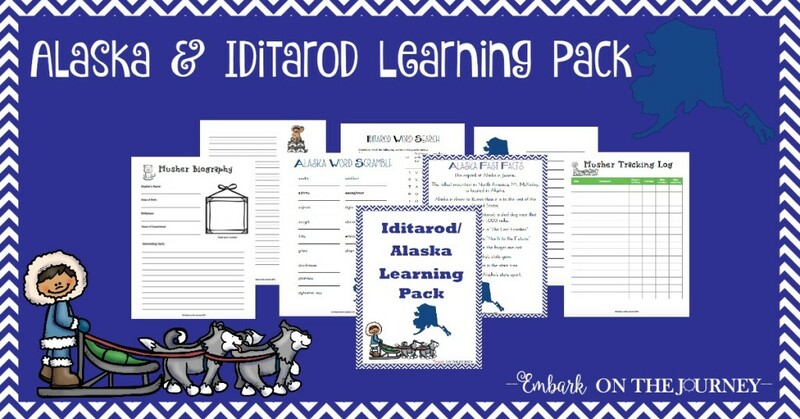 I’ve created a super, fun Iditarod/Alaska Learning Pack! 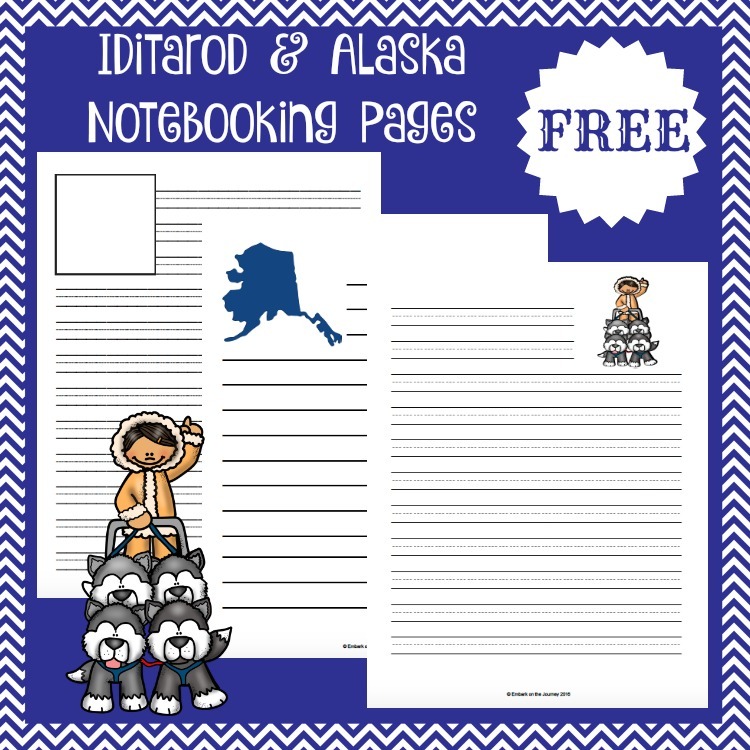 This pack includes notebooking pages that are prefect for kids to record what they’ve learned about Alaska and the Iditarod. There are wordsearches, ABC order practice pages, word scrabmles, and fast facts for Alaska and the Iditarod. Serious Iditarod fans will love the musher bio page and tracker form! Choose a musher and track his/her progress throughout the race. This pack includes 22 pages – including answer keys. No time for a full blown study? 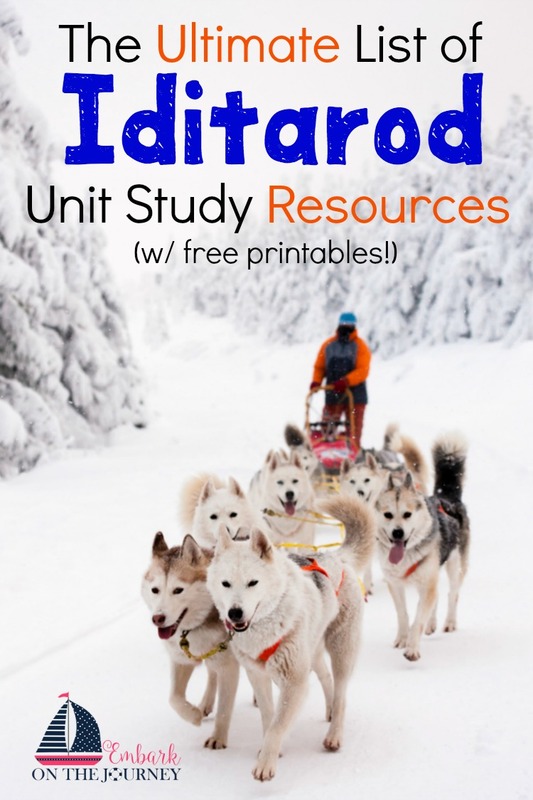 Here are six FREE notebooking pages you can use with your Iditarod unit study. There are three different notebooking pages each with two line styles. Choose the one that best fits your writer. How fun! What a great idea for a unit study! I’m going to share this on my Facebook page. Awesome list! We studied the Iditarod a few times; my oldest son is pretty much obsessed with Alaska and everything having to do with it. Love this topic! Thanks so much for sharing with us at Brag About It! Pinning and tweeting to share! What a fun unit study!! Next year we’re going to be doing a Road Trip of the U.S. and I am definitely saving this for when we get to Alaska!! I have participated in the Fantasy Iditarod for a few years. Sunday 3/6 is the last night to sign up. There is great info at http://iditarod.com/. https://www.youtube.com/watch?v=m3ngRqNM7H8 “Four Legged Leaders: The Serum Run Sled Dogs” – a great short film. This would be a great addition to a study of Alaska! Several years ago, I read about Balto with my oldest who is now 15. I think my younger girls would love to do a study on the Iditarod. Thanks for linking up at DEAR Monday.